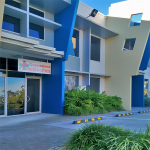 Queensland Prosthetics is conveniently located on the first (ground) floor in the new building complex with ample car park in Berrinba, a south-west suburb of Brisbane, with a very good traffic at any time of the day. 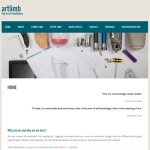 Our clinic utilises modern, up-to-date equipment and facilities in the manufacturing and adaptation of prosthetic devices, and employs a fully equipped gym for test-walking and prosthetic training. All rooms are accessible, air conditioned, and equipped with a disabled toilet located in the immediate vicinity of the patients’ area. For patient convenience, there is a cafeteria adjacent to the clinic with a variety of affordable food choices. 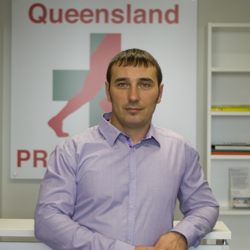 Queensland Prosthetics is led by our Principal Prosthetist, Denis Shaporev (please click to see Denis’ professional profile), who entered into the field of prosthetic care and treatment after earning a medical diploma in 1997. In subsequent years, Denis has studied and introduced into his practice, innovative and advanced prosthetic technologies and components. In addition to his clinical work, Denis has also conducted long-term scientific research, invented numerous prosthetic components/devices, and been active as an educator in the field of prosthetic treatment. During his professional development, Denis formed a medical-view based approach in his prosthetic practice which focuses upon comprehensive and individualized prosthetic treatment, rather than limiting the scope of care only to the mechanical manufacturing of artificial limbs. In implementing this approach, Denis has established a new, specialised clinic to provide patient-centered prosthetics care for his patients. Following this philosophy, Denis, along with his clinic colleagues, have founded a non-profit web site as a resource for new amputees to help them learn about what is involved in their prosthetic care, thus beginning the process of reaching positive outcomes in their prosthetic treatment, and ultimately, expanding their access to a wider range of physical activity.